BLADE EXTRA! 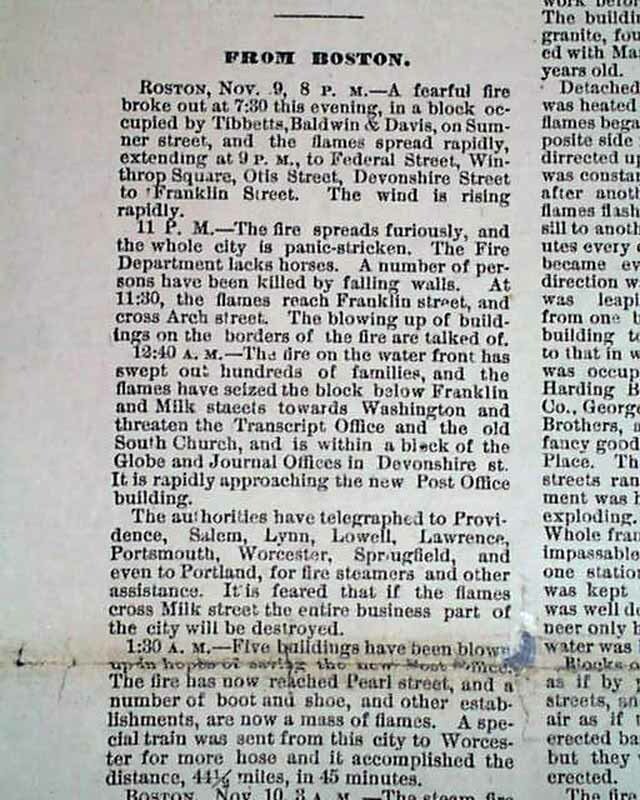 Nov. 10, 2:30 p.m. A terrific broadside, long & narrow, reporting on the horrible destruction of the Great Boston Fire of 1872. 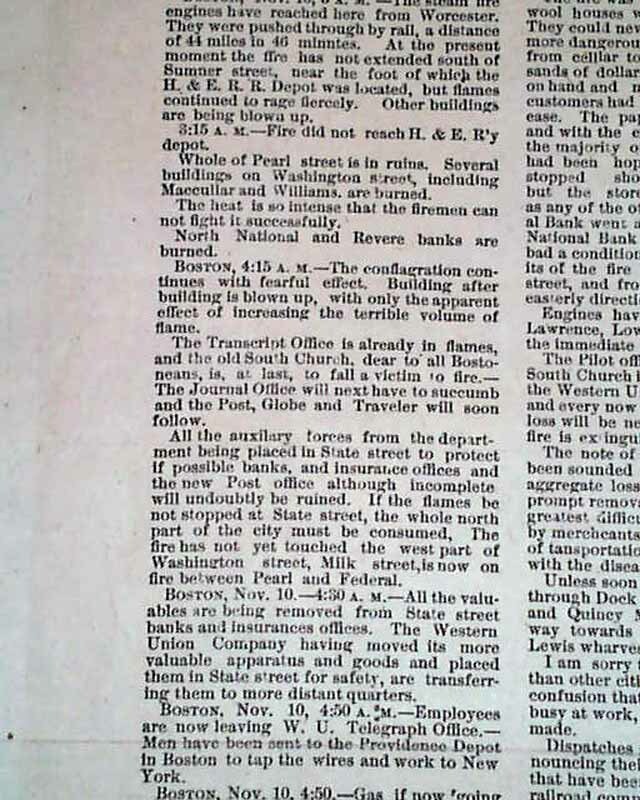 As was typical of news extras rushed to streets, there is no formal name at the top (there was a "Blade" in Toledo, Ohio) nor is the year printed. 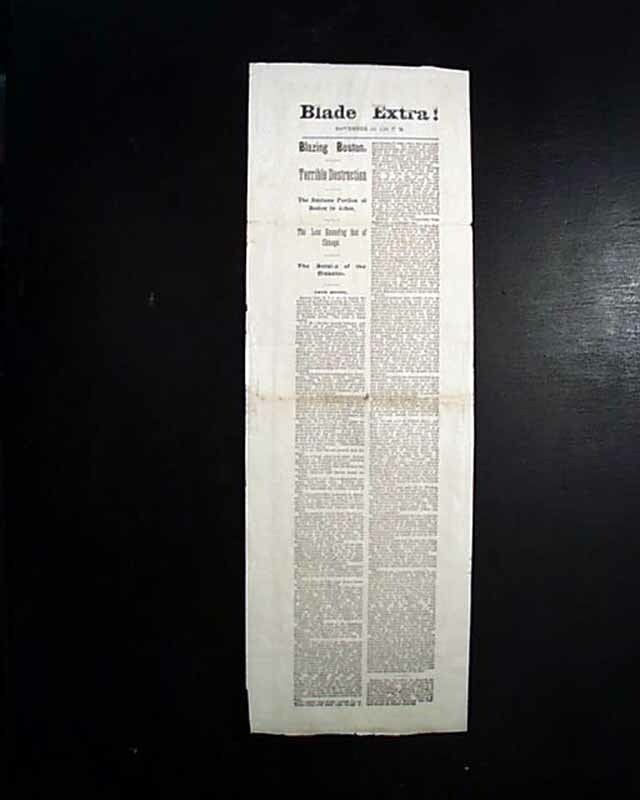 Obviously the locals who consumed the "Extra" knew the name of the issuing newspaper & the year it was printed. 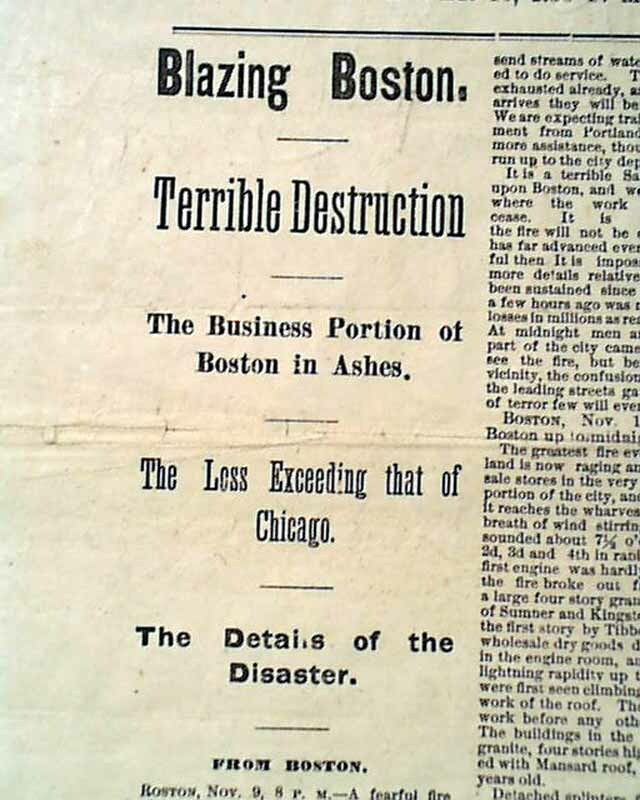 The headlines note: "Blazing Boston" "Terrible Destruction" "The Business Portion of Boston in Ashes" "The Loss Exceeding that of Chicago" "The Details of the Disaster". 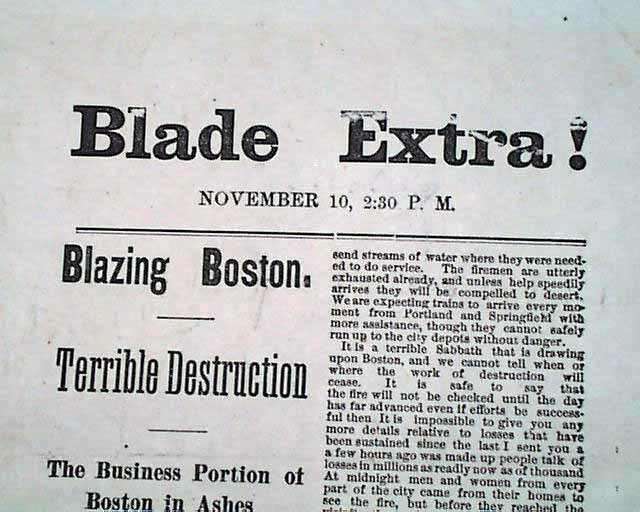 The balance of the front page goes on to report the destruction as the news was known with many timelines from Nov. 9, 8 p.m. until Nov. 10, 5 a.m. 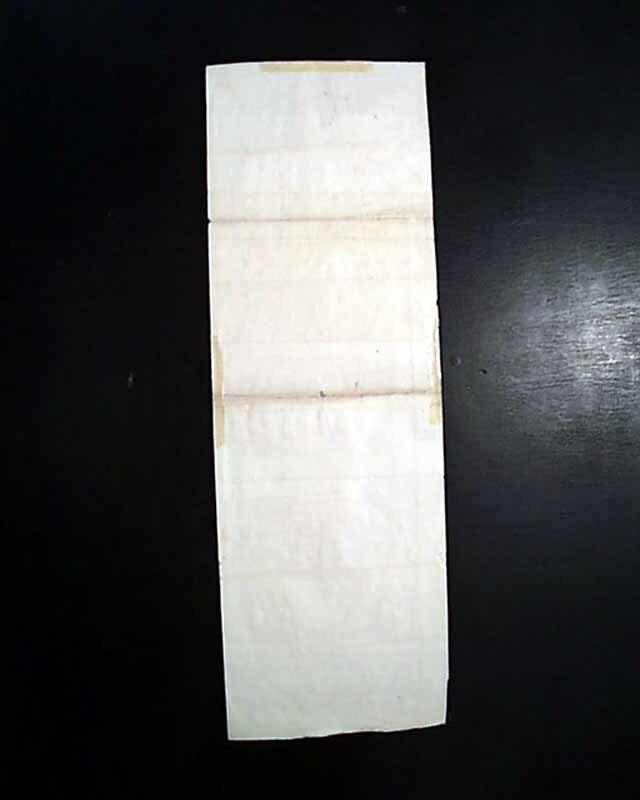 Measures 7 by 21 inches, some wear along the center fold causes a tiny hole near the center and minor tears to the left margin, completely blank on the reverse, a few archival mends on the reverse & some remnants of mounting tape at the edges of the reverse where once mounted for framing.